Well this year I didn’t come home with a boat, but still had a nice time as the Toronto Boat Show. I went again this year with my buddy, Scott, and it was nice to catch up and dream about open water. We usually have a couple of goals for the event; to hang out, to look at some boats that we actually might be interested in, to play make-believe in some boats we would never be able to afford, and to look around at accessories. 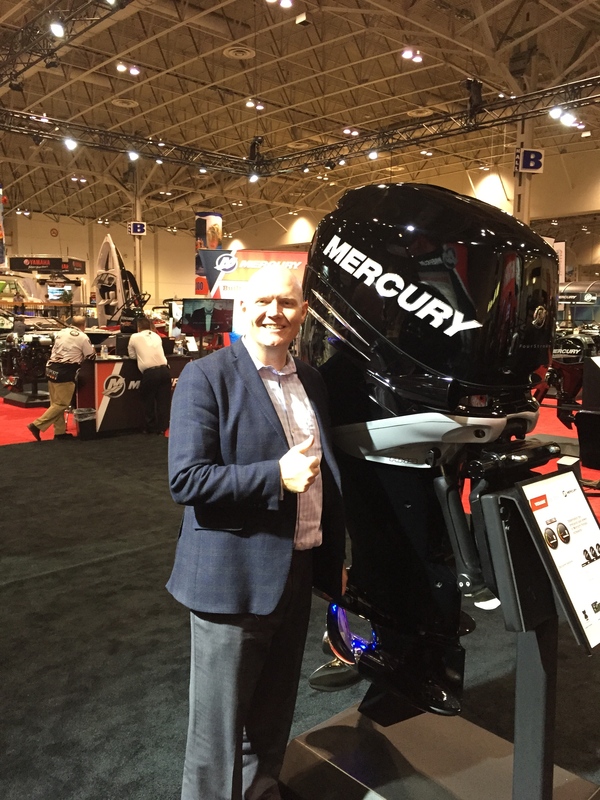 I had lots of fun looking at outboard motors that were bigger than me, and whats amazing is that the same horse power motor is just getting bigger and bigger, check out this 250hp merc! I had a great time visiting my own boat dealer Ryan, from Trailerword in Brantford Ontario. Ryan is a local Princecraft dealer, who sold me my boat last year and who also handles my service and maintenance. After spending some time looking at the new 2015 lineup, it was off to check in with the guys from Hummingbird, and Navionics. My only purchase for the evening, other than dinner, were a couple of new life jackets for the kids. I was looking around, saw some great looking jackets from Salus Marine, and was sold once I learned they were based out of Waterloo, Ontario, just in the area I live now. We called it a night and headed for home. Next up for me is the Toronto Sportsman show! This entry was posted in Boating, Equipment / Gear, General and tagged aluminum boat, amateur, Angler, boat, boat family, boating, Direct Energy Centre. Bookmark the permalink.